Except Bush's Buddies didn't like to stomp on the American Flag. So buddies trump the actual POTUS? Pssssssssssssttttttttttttttttt: It's correct from his vantage point. Bet you're proud you could muster up some fake outrage over nothing. Hey genius. Look at the last line. I said Who Cares. Put down the mouse and take your meds. For those of you concerned about the "incorrect" way GWB held up the American flag, this is an actual flag insignia for a military uniform. The only thing GW knows about the military is how to avoid serving in it. It is so foolish for an Obama supporter to talk about Bush's military service. 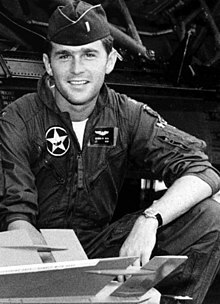 Bush served his country in the National Guard. Obama did not serve. 5) Julia's parents likely have not saved a dime toward college, due to just getting by with their low wage jobs. If Julia goes to college, it would most likely be part time with a low wage job, and it will take her years to finish. 7) Julia already has the freedom to take a job where she doesn't have to pay Union dues - most jobs are like that. Only a small percentage of jobs in the U.S. are unionized. The unanswered question here is what Republican policies are going to create new jobs? Don't give me that cut taxes, trickle down crap. We've had about 30 years to see how well that works We didn't have 8% unemployment under trickle down policies did we? Employers are holding back new investment because of huge looming Obama tax INCREASES ridiculous Obama regulations that make creating jobs nearly impossible. Republicans will create immediate high paying oil,gas and coal jobs that will lead to lower energy prices and more consumer spending. 9) What an exaggeration and misinterpretation of the Affordable Care Act. Words fail me. Why have thousand of emplyers and unions requested and received waivers from Obamacare? 10) News flash: We already have the ability to choose our kids' school. Move, or pay for private. However, in most areas of the country, the "good" public schools are in middle to upper middle class areas. The working poor lose again. The working poor would be better off getting a voucher equal to what the cost is now for the failed union teacher system, so they too can choose a better school and force the union teachers to compete. Yeah, there's a better life for you under Republican policy. But only if you're already doing pretty well. If things go wrong and you can't keep working at that higher wage job or if your business doesn't do well, if your job is outsourced and you can't find a comparable one, if you become disabled, or if you get a catastrophic illness, well, you're pretty much screwed. And I notice that there's no mention of how they plan to keep the cost of private health insurance, currently rising at a rate of about 20% a year, down. Or are these insurance companies just going to continue to raise rates indefinitely while they pay their executives 300 times what the average worker makes, and keep crying that they have to keep making huge profits to please the shareholders? It's asinine not to regulate this industry. I don't necessarily like the Affordable Care Act or the health insurance mandate, but I do think that that industry needs regulation badly. There are already plenty of safety nets available for those that can not work or need a temporary hand. Republicans are not proposing to eliminate that. To say that is to be untruthful or uninformed. Just so you know, this is against the TOS. Really? Just so you know, he did indeed serve. This thread is about another campaign debacle by obama...he is getting roundly ridiculed by the Left and the Right on "julia". Julia isn't fictitious she's real, there are numerous Julias in America. I wonder how many of those Julias voted for Obama and became so dependent on the government. I would bet that most of them voted against him and will again unless more of them are black than white. I wonder why they didn't make this one black instead of white. Oh yeah, they are sure the black women will vote for him and not really sure about whites. More and more all the time it seems. Sad really. Dependant on government from cradle to grave and that is the Utopia this government wants us to strive for. Then when she gets to age 65 she is working in a community garden. That's all? Not running a company or getting another degree? They think women are stupid and it is coming out with their expectations for us. “That’s their dream for women?” That she be alone, without family, struggling as a single parent, dependent on a government that is going broke? YOu honestly don't believe there are single women struggling in America?? I love it! Obama posts something that says, "Look! You have to subsidize this ENTIRE WOMAN'S LIFE!!!" This is going to backfire BIG TIME. But don't worry that isn't one word of taxes....and people say free lunches don't exist!!! If you want a free lunch, vote for Obama 2012, wouldn't it be great if we all get hand outs!